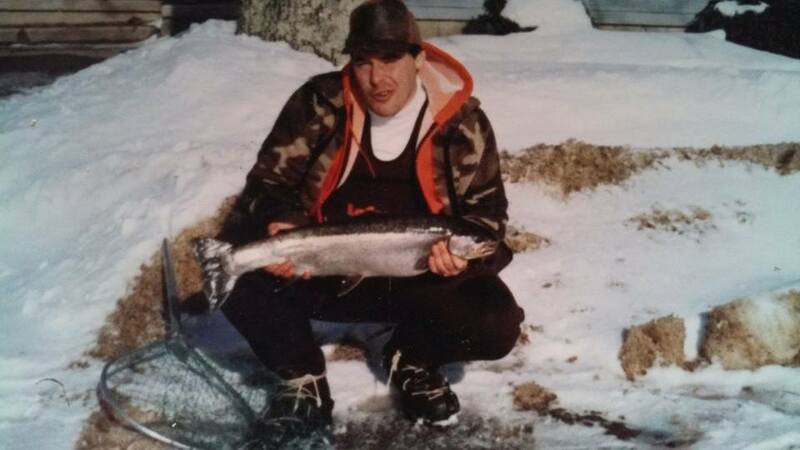 Rich Yvon started streamside fishing in the early 1980s fishing rivers and streams in the Northeast. 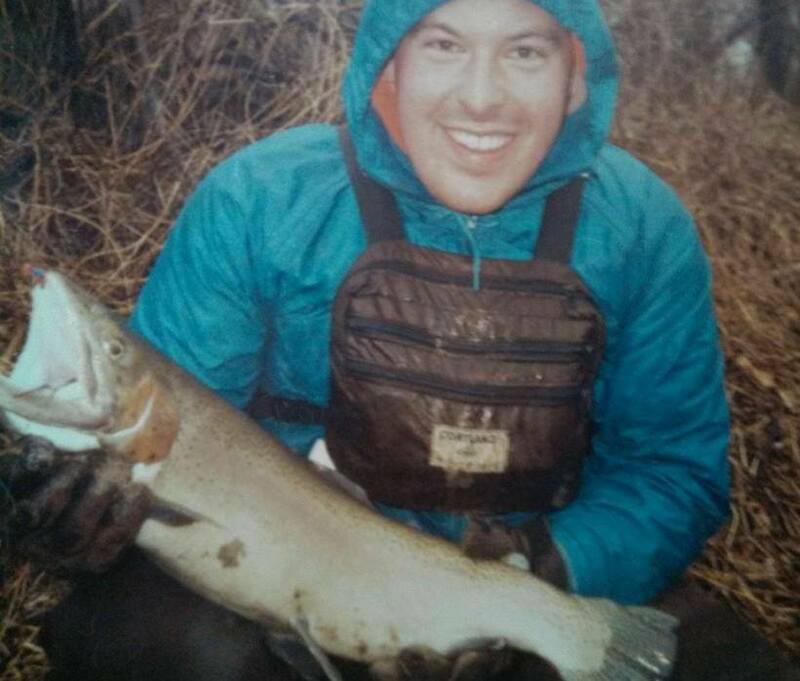 Graduating to steelhead river fishing, through the ’90s found himself needing better stability and safety running the water in upper state New York. When He first tried on his first pair of Korker tie on “river cleats”, his is world had changed forever. Fly fishing water in swift current was now not only safe but had given him the confidence to pursue the love of steelhead in swift hydro rivers. As time passed he graduated to the buckle and strap cleats. As Korkers evolved into today, a very diversified, outdoor staple, so did his use and passion for the Korkers line of products. Now with the Omni Trax system, Korkers is the most diversified boot company on the planet. 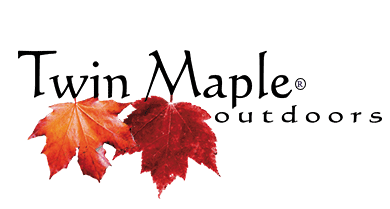 The product line addresses all his outdoor shoe needs for wading, ice fishing, snowshoeing and outdoor adventuring. 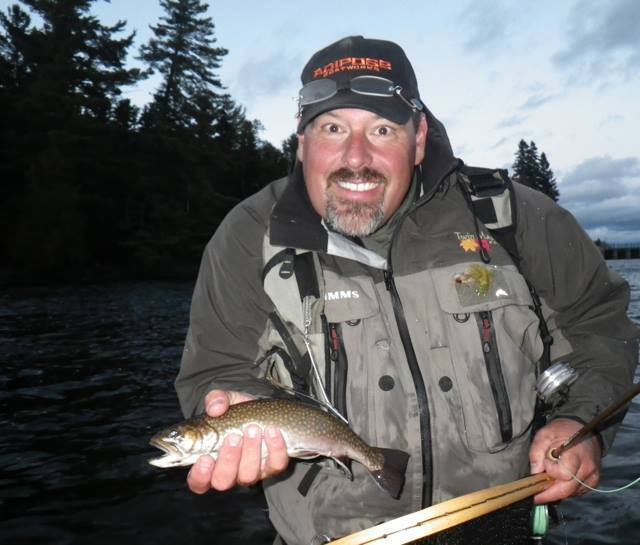 Guiding in Maine, Korkers is a must have and a necessity for his four seasons of outdoor work. Photo: Richard Yvon – circa 1990’s Grindstone River, NY. Korkers designs develop and distribute all-terrain footwear featuring patented adaptable traction so outdoor enthusiasts can optimize their traction performance for every terrain and weather condition both in and out of the water. The Korkers brand was born over 50 years ago on the rugged and treacherous riverbanks of the Rogue River near Grants Pass, Oregon. Made by hand, using scrap rubber, nylon cord, and carbide spikes, Korkers “River Cleats” was created in the basement of Korkers founder, Sherman Smith. 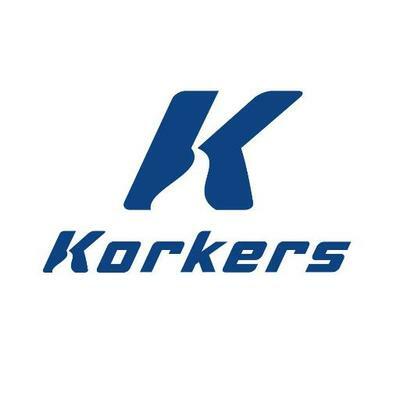 Over the years Korkers hasn’t abandoned its independent thinking. The Company continues its bold and innovative approach, having the courage to take risks in order to meet the needs of those who identify with the intensity of outdoor adventure where extreme conditions can be challenging and unforgiving. Their gear must perform double duty as conditions change rapidly and performance optimization puts every piece of gear to the test. Some people gear up, we prefer “gearing down”. That’s where Korkers thrives. Our legendary OmniTrax Interchangeable Sole System enables this rare breed the versatility to do more (adventure) with less (gear). Interchangeable felts for fly fishing, interchangeable carbide studded outsoles for traction on snow and ice, and an interchangeable trail sole adds up to the most versatile and efficient all-terrain, all-season footwear available. For those that crave outdoor adventure, Korkers expands your boundaries.